Welcome to this modern Apartment with enclosed balcony overlooking the Atlantic Ocean. 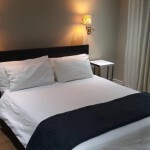 It is well Located on the Platinum Mile of Mouille Point's Beach Boulevard. 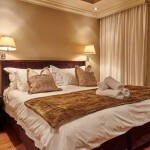 Luxuriously furnished One Bedroom One Bathroom self catering apartment in the exquisite and famous Cape Royale Hotel. This apartment is beautifully decorated and guests can enjoy a rooftop pool and luxury relaxing, the hotel offers a bar on the rooftop and restaurant on the ground floor. Cape Royale is centrally located with the V&A Waterfront, beautiful beaches, the Greenpoint Stadium and much more of Cape Town's most exciting places on offer.